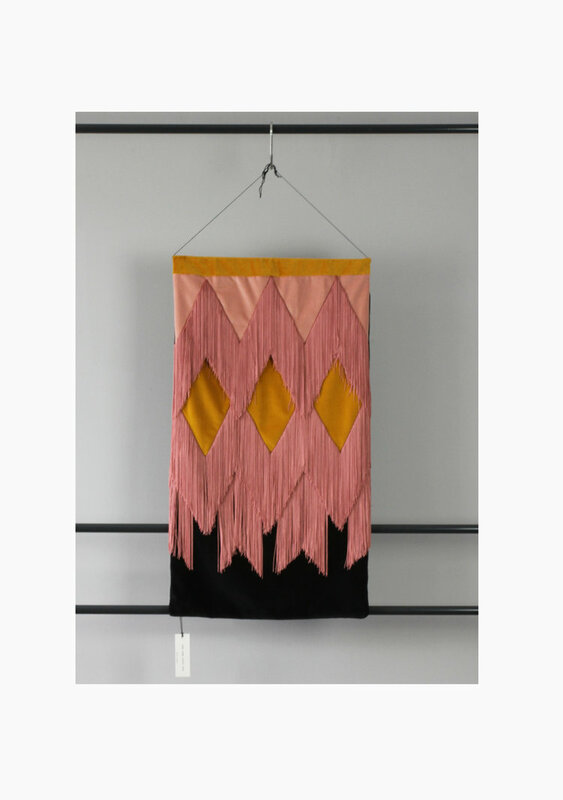 Tassel wall hangings are the latest addition to our collection. 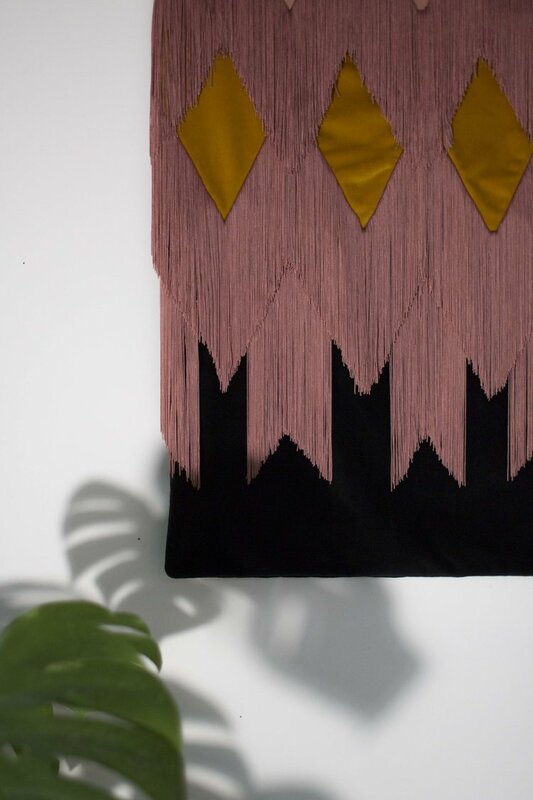 Each wall hanging is lovingly hand made in our studio and is inspired by cities from around the world. 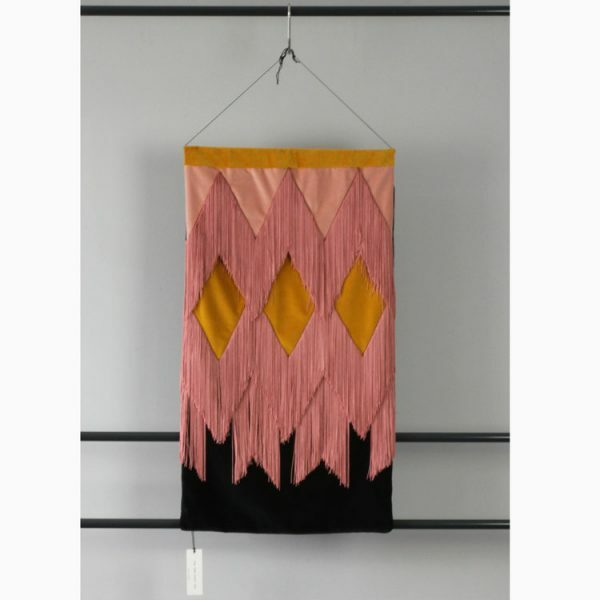 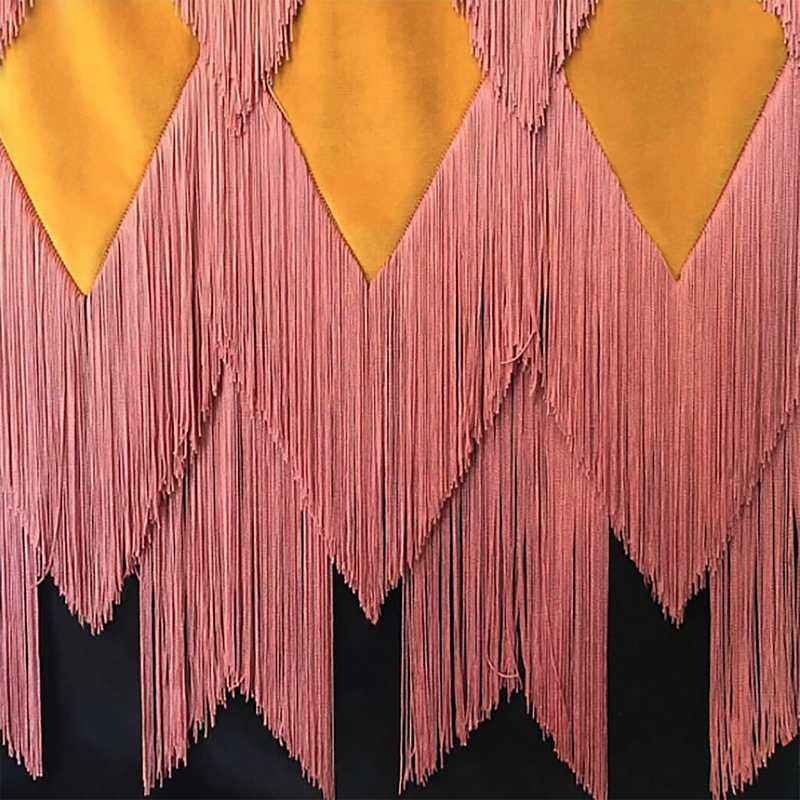 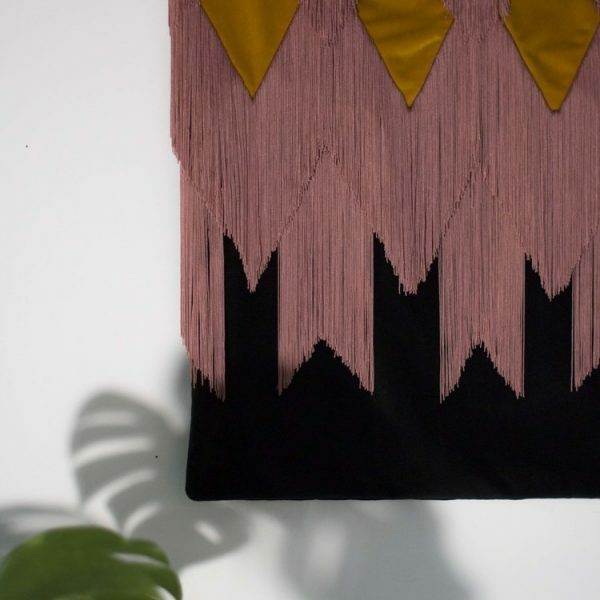 The Havana wall hanging is an intricate piece of layered chevron pink fringing embellished onto sections of pink, ochre and black velvet. 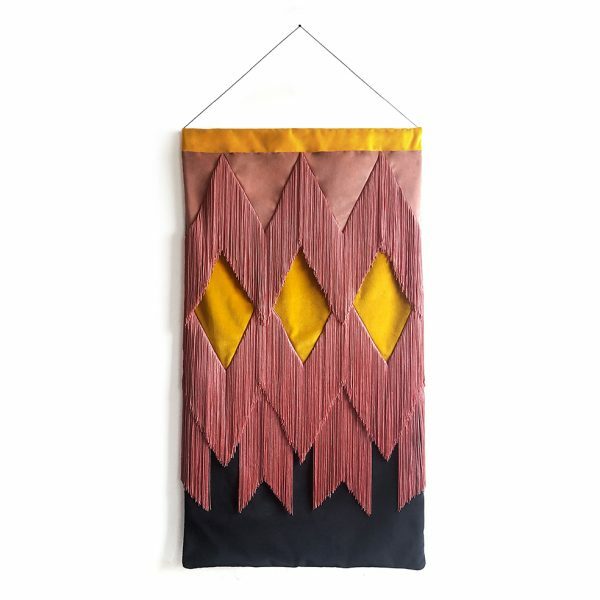 Havana’s inspiration came from the colourful buildings that line the streets of Havana’s old town and the art deco influences found in their architecture.